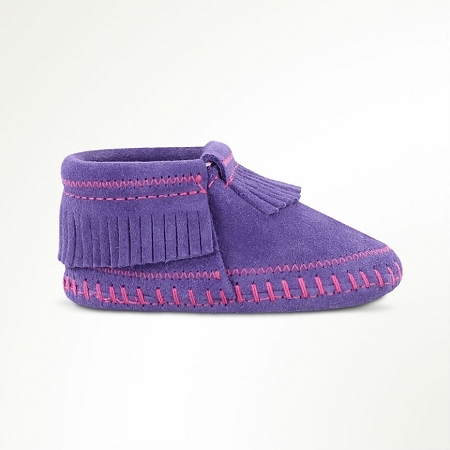 Minnetonka 1164 - Soft rich purple suede natural leathers - easy to wear and tailored for toddlers. Soft suede upper and sole with elasticized opening for easy on and off. Genuine Minnetonka style. 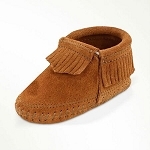 "Moccasin soul" for little feet. Height 2". Other colors available. 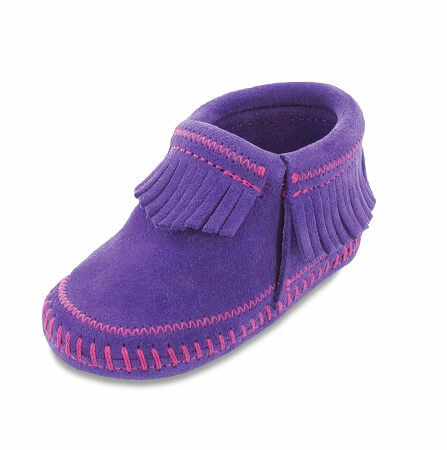 Signature Mini-tonka style for pint-sized toes. 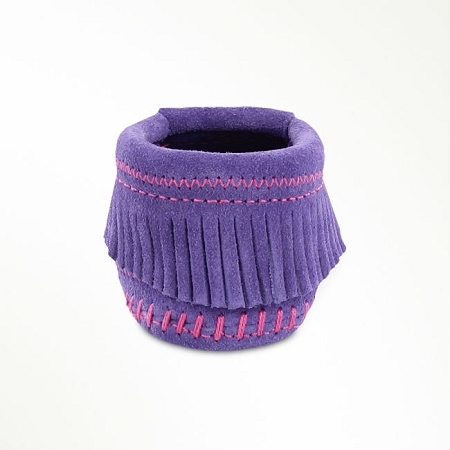 From park to play date, colorfully coordinate your Mini-me with a new suede style. 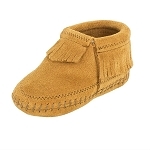 This baby moccasin features a soft suede upper and sole with elasticized opening for easy on and off. The white and carmel colors feature a rich deerskin leather upper and sole also with the elasticized opening.